To say that Linux Mint has taken the Linux world by storm and galvanized a gazillion people to try Linux for the first time would be a gross understatement. Having tried Linux Mint and discovered its user friendly features, millions around the world have abandoned the familiar terrain of their overpriced Windows and Mac OS computers for Linux. Unlike resource-hungry operating systems like Windows 8 or Mac OS X Yosemite, Linux Mint runs well on old systems that you can buy on eBay or Craigslist for $60-$80. I run Linux Mint on an old Dell Optiplex 780 core duo PC that I got on eBay. Getting a first class operating system like Linux with access to tons of free applications for $60 is one of the true miracles of our age. But Linux Mint (with the Cinnamon desktop) has a dark, ugly wart that will eventually put off many newbies to Linux if the distribution’s developers continue to ignore a persistent problem. Frequent freezes on Linux Mint systems (with the Cinnamon desktop) are proving to be more than an irritant. Every day, Linux Mint users suffer from freezes. They come without warning and bring all work to a grinding halt. Worse, the freezes now occur multiple times a day lately. If you’re on a text app like Gedit, you can move the mouse cursor but not much else. The keyboard too freezes. At first, I blamed the freezes on insufficient memory since I often have multiple browser tabs open and various applications (Gedit, Cherrynote etc) running in the background. And my Linux Mint PC has just 4GB of RAM compared to the 20GB on my iMac. But then I noticed that even when I had just one or two browser tabs open my Linux Mint PC would freeze inexplicably. I have even encountered freezes when nothing but the terminal was open. The freeze is is a plague afflicting both the 32-bit and 64-bit versions of Linux Mint (with the Cinnamon desktop). For the record, I’ve always used Cinnamon as the desktop on my Linux Mint PC (my experiment with Mate on Linu Mint was too short to talk about in any detail). I hoped that Rebecca would put an end to the freeze issue but my hopes turned out to be in vain. Having endured multiple freezes daily for over six months, my patience is now nearing its end. Out of frustration, I switched to CentOS 7 and then CentOS 6 for a few weeks. End of the freeze problem. But I couldn’t stay away from Linux Mint for long despite the vexing freezes. I have resorted to two techniques to unfreeze my Linux Mint computer. The first method that’s helped me to fix a freeze is to press Alt and Tab keys simultaneously. This technique works 99% of the time, unfreezes the computer instantly and lets me continue my work. But sometimes the Alt-Tab technique method won’t work. Then I resort to a different technique – I either open an application from my panel like the RSS news feed or Cherrynote or close a running app via right-click. This unorthodox method liberates my computer from whatever freezing demon has taken possession of it. Here’s hoping the smart minds will hunker down and end a problem bedevilling lots of Linux Mint users. 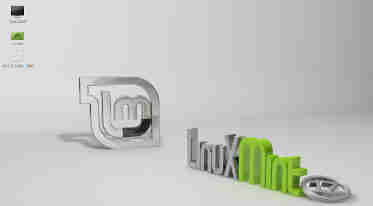 Linux Mint is a superb distro and fixing the freeze issue will enable it to remain the first choice of Linux newbies.